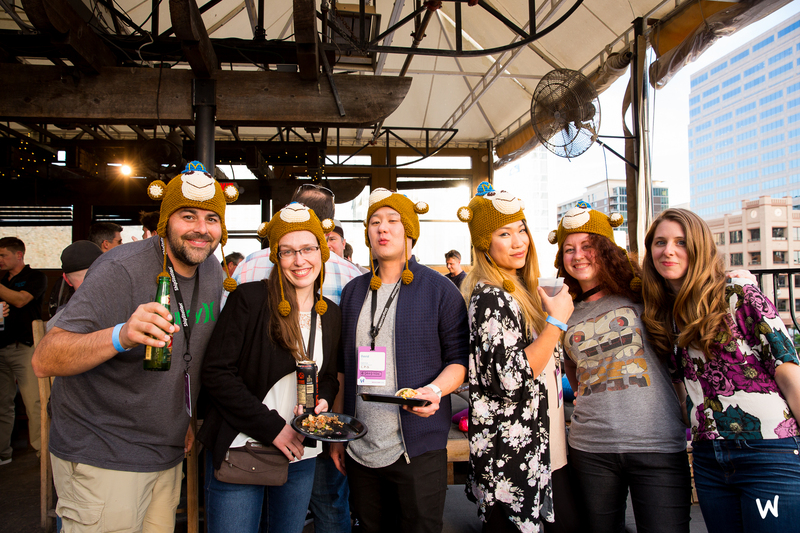 Written by Nicole Kohler on April 14, 2016 Blog, Woo news, WooConf. A lot of learning was had… and from the looks of it, a lot of fun, too. You can get easy-to-digest highlights from day one here and day two right here. From all the feedback we’ve heard (and it’s still coming in), it sounds like everyone took away something a little different from WooConf. 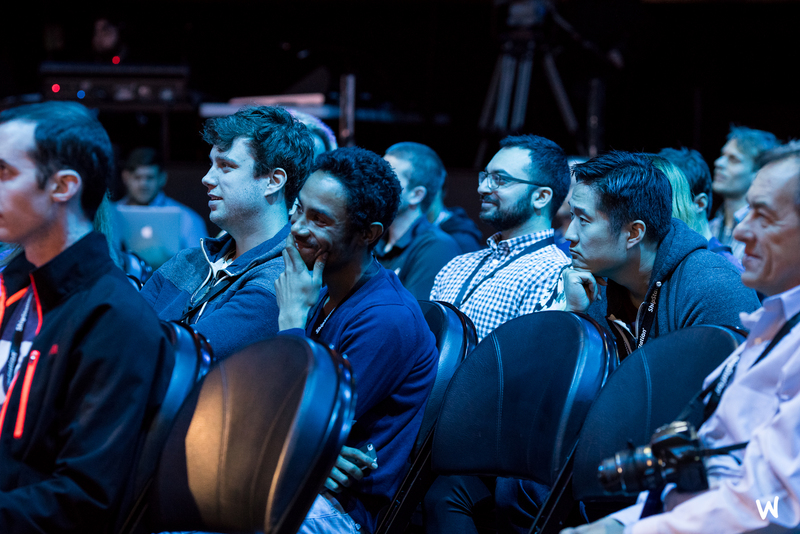 For the benefit of those of you who weren’t there, couldn’t catch every session, or simply want a recap, here are the five biggest takeways we got from our talented speakers. It’s something we say on our blog all the time: it’s not a matter of doing what you’re told is best, it’s a matter of doing what’s best for your store, your customers, and your success. We were pleased to hear this statement made more than a few times by our talented speakers. In fact, we heard this emphasized in the very first talk, delivered by Peep Laja of ConversionXL. Peep referenced commonly-found lists of conversion optimization best practices and A/B tests, and told the audience that just because they are common doesn’t mean they will work for you. Peep stressed the importance of creating a process for your own business. Instead of trying different optimizations based on advice found online, identify the issues that exist on your store and test multiple solutions until a solution is discovered. It even falls in line with the support we offer: our ninjas and WooExperts are available to help you find a solution that works for you, not just something that works. This is why we have our ninjas and WooExperts available: something might seem right for you, but it may not simply work well in practice. Never fear, we’re fully prepared to help you out. This emphasis on the right fit bleeds over into personalization, which we heard come up in many talks as well — but we’ll get to that in just a moment. One of the biggest ways this came through was via the speakers who emphasized helping your potential customers over simply selling to them. We heard about the need to add value, not just offer something, and a big change in mindset. As speaker Miracle Wanzo stressed, adding value makes even Facebook advertising more effective. This topic was the major focus of Matt White‘s talk, aptly named “Stop Selling. Start Helping.” Matt compared salespeople to lions and potential customers to innocent gazelles, talking about how the traditional predatory sales model can frighten buyers away. Matt emphasized the need to help your potential customers, not deliver a hard pitch that scares them away. And there are plenty of ways to do this, as you probably already know — whether it’s through something as simple as informative website content, or something way more hands-on like a webinar. Do you want to viewed as a lion? Probably not. In in a similar vein, we also enjoyed WP Engine CEO Heather Brunner‘s talk about the need for personalized website content. Heather told a highly entertaining story about Nordstrom’s website trying to predict what kinds of clothing she’d like, and failing miserably. The lesson learned here: customers expect to be genuinely helped, and if you can’t do it, don’t bother. If you’re a store owner, you just can’t do everything. You might want to do everything, but the truth is that you have to pick and choose what’s going to make the biggest impact on your business and focus your efforts there. Many of our talented speakers shared their tips for either finding what could make the biggest impact for your store, or finding a way to make the biggest impact with one particular activity. We heard Dustin Stout talk about this when he chatted with store owners about content and social media. Instead of picking every network or every marketing method and investing in it, Dustin said to choose two or three and “go deep” there. 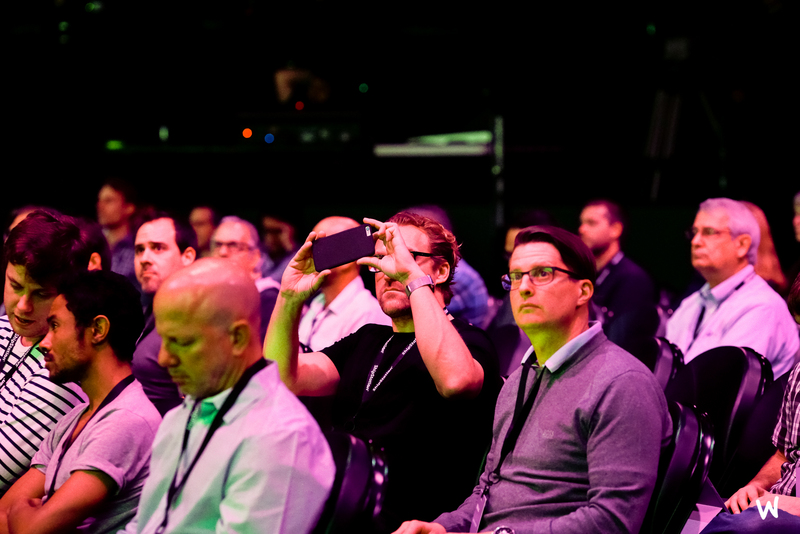 Immediately after Dustin’s talk, Drew Sanocki urged the crowd to take the approach of focusing on their “whales” — that is, the customers who drive the most revenue and propel your business forward. By finding where these customers come from, you can grow these specific marketing channels and waste less time and energy elsewhere. This probably even applied to our attendees: you have to pick and choose which knowledge is most important (that is, which makes it to your phone camera). We even heard about this when it came to tracking analytics. Beka Rice of SkyVerge mentioned “analysis paralysis” when it comes to tracking analytics, and said it’s fine to tackle and improve just a few store metrics at once, then move on when you’re satisfied. 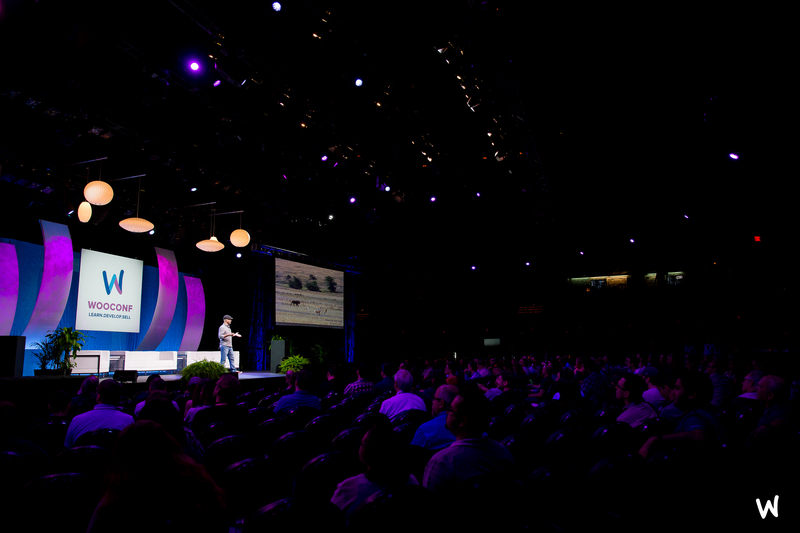 Thankfully, many of our speakers were quick to show us the vast possibilities of WooCommerce, with talks focusing on memberships, subscription sites, content marketing, and so much more — we scarcely have room to mention them all here! A WooCommerce website can have many pages, or it can have just one. As developers like Merrill showed us, it’s all within your reach. 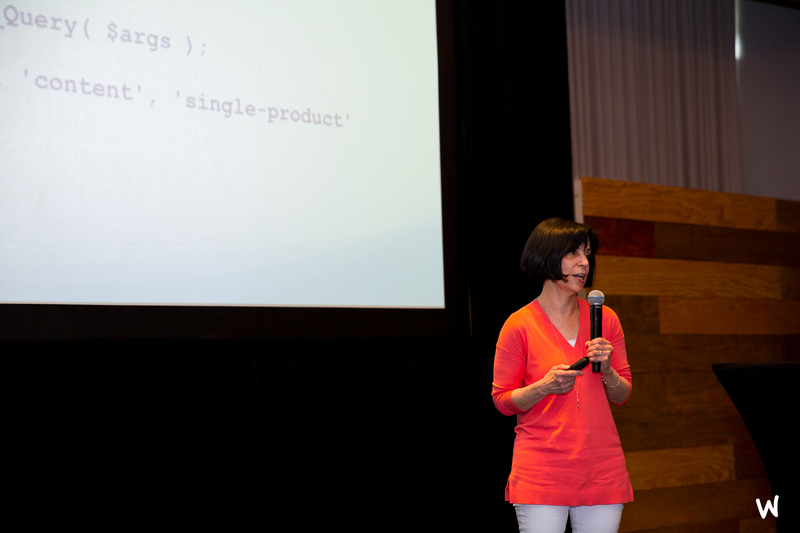 We heard from developers like Merrill Meyer, who spoke specifically about how to turn a WooCommerce store into a one-page website. Merrill offered tips for transforming a multi-page store into a single-page one, and doing so rather simply. Kenn Kelly gave a talk about this very topic, called “WooCommerce is Not (Only) a Cart.” He talked about all the amazing things you can now do with eCommerce, including memberships, and explored some future ideas. Kenn specifically mentioned some of the developments we’ve seen on sites like Amazon, including the Dash Button, and also touched on gamification being untouched for eCommerce. These are all within our reach… but we need the community’s help to get there. And that leads us to our last point. There are hundreds of thousands of store owners and developers using, modifying, and improving WooCommerce each and every day. It’s true: we’d be lost without all of you. But an even truer fact: when we put our collective heads together, at events like this one or just on idea boards online, we can accomplish truly amazing things. Our own Bryce Adams was quick to show us the future possibilities of collective development in the demonstration that ended the first day. Bryce was inspired to create WooCommerce integrations with the physical world by chats with team members during WordCamp Mumbai in 2015, and showed us how webhooks and API calls can do anything from light up LEDs to fly a drone. Together, we can use webhooks and API calls to take a drone experiment to the next step. We’re crossing our fingers for drones delivering drinks at the afterparty next year. Imagine how far developers could take this. Thermal printers firing up on demand, and connecting the bridge between virtual and physical locations, is just the start. We think Bryce probably gave plenty of attendees their own ideas! 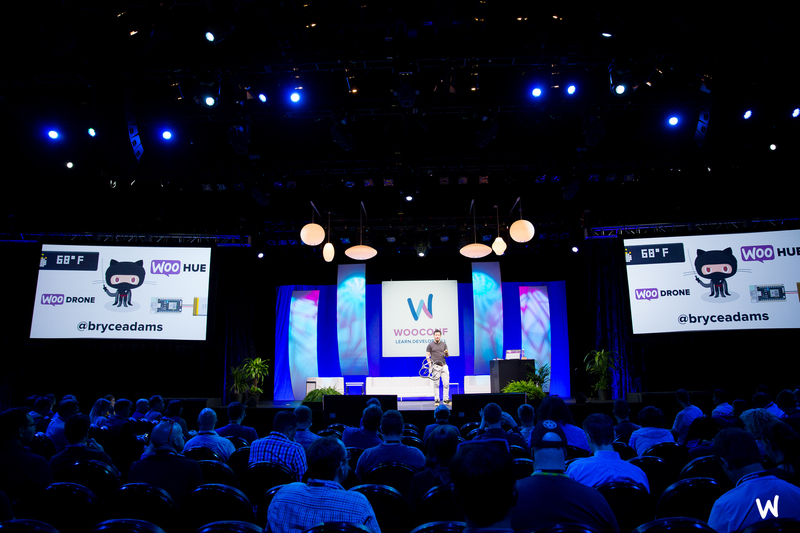 WooConf as a whole, though, was proof of this concept. Throughout the entire event, we saw store owners putting their heads together with our incredible sponsors to find solutions for their store. We saw developers offering insight to other developers. We saw ninjas running a live help desk, solving problems on the fly. When we come together, we can accomplish anything. Might sound corny, but it’s proven to be true. When we work together, whether it’s on the next version of WooCommerce or a tricky solution for your store, we can make magic happen. 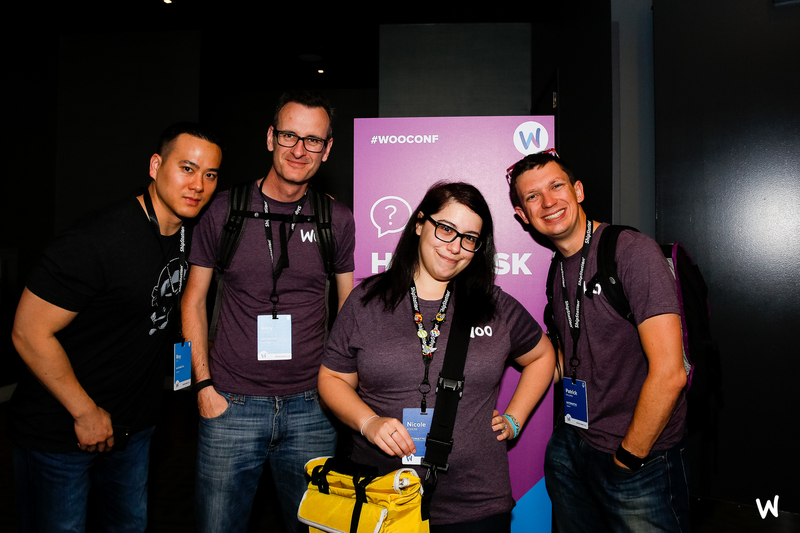 And that shone through with WooConf as a whole: it was a place for people to learn and connect, side-by-side, like never before. 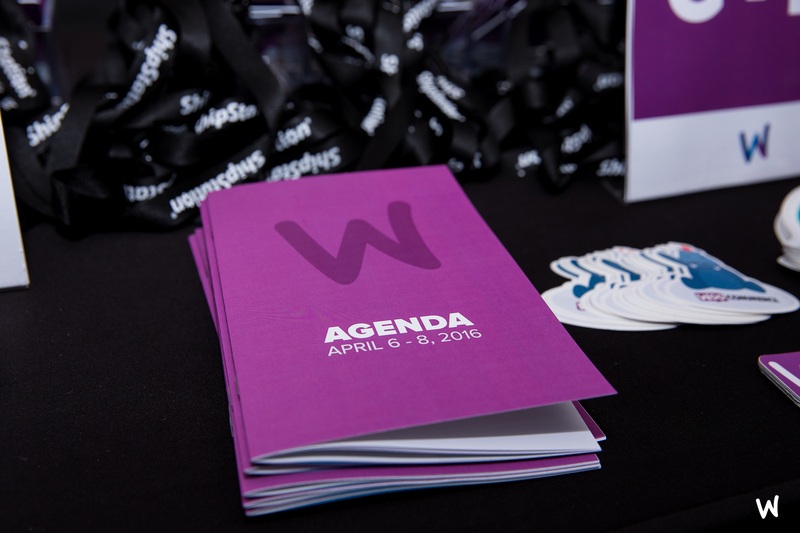 With the second WooConf under our collective belts, we’re eager to do it again. 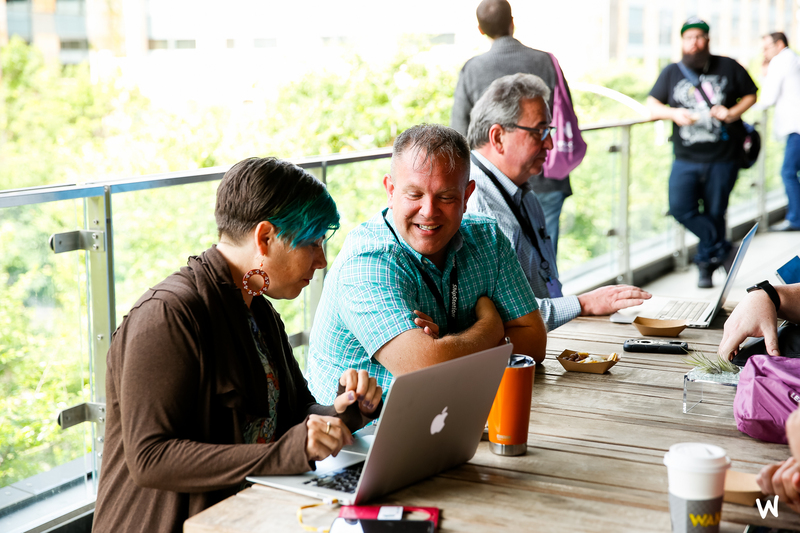 It wasn’t only a place of learning and networking: it was also a ton of fun. Looks fun, right? You know you want to get in on this. You’ll join us next year, we hope? 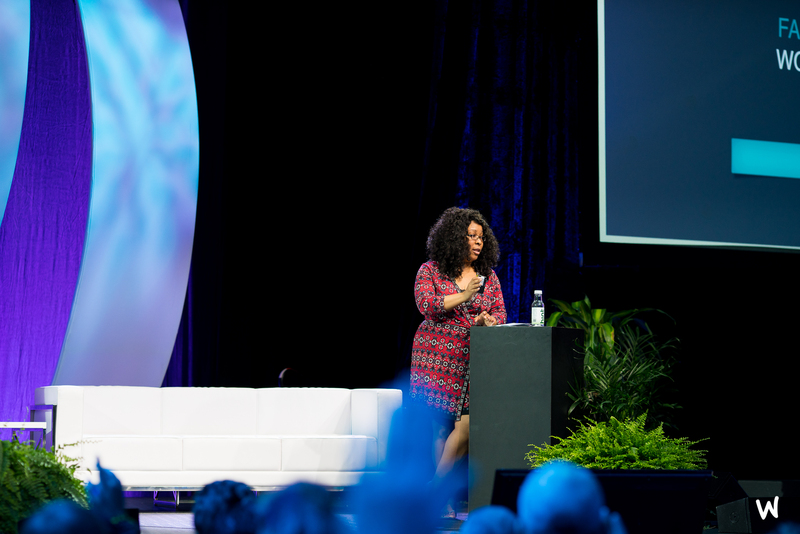 Whether you came to this year’s conference or not, we hope you enjoyed reading these takeaways. 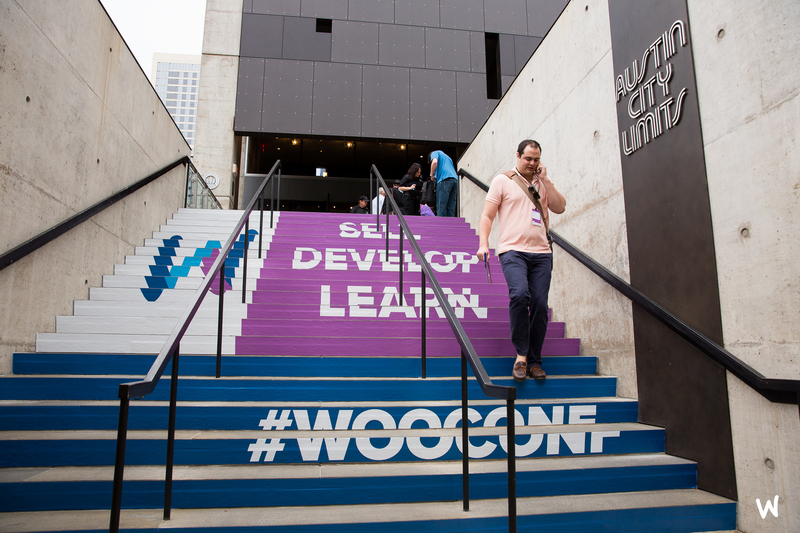 For now we’ll wish you a fond farewell and say we look forward to meeting you at the next WooConf! Farewell for now, see you next year! Credit for all photos in this post goes to Todd White. Kudos for the excellent shots! I can’t recall if was an option, but being to ‘attend’ via webinar would have been nice. Maybe for next time? Hey Ryan, we did indeed have an option to watch the speakers via a livestream ticket — those tickets went on sale shortly before the event. Thanks for letting me know – have to look for it next time. The speaker deck links do not work arrrrrrrh. Hey Kevin, looks like those links broke all of a sudden! Am checking those out and will see if we can get the Day 1 & 2 highlights back. Stay tuned for more. Will video recordings of the sessions be made available for people who missed it? Hi Karan, yes indeed. We’re working on getting those ready right now and should be releasing those over the next few weeks.